Bill: Running an event is a total team effort. One of the things that is easy to forget is that all of the team members are volunteers. And they’re all trying their best to make the event the best possible for the entrants. Communication is key, and unfortunately is the one thing that easily breaks down. MSR: What kind of event promotion have you done that has been successful? Bill: Probably the best promotion is the email blaster in MSR. I use it to send out the initial registration open notice, a couple of reminder notices, and then the run/work info for each event. We also have a bulletin board that has a lot of info populated by members of the region. MSR: What are some of the challenges you’re facing? Bill: The same as most autocross groups, finding and keeping a place to run. MSR: How has MSR helped make your events easier to organize and manage? Bill: MSR has helped a lot. From the ability to load the registrations into the T&S system to the ability to let people prepay, if they want to. We have a special line at our events for those that prepay for an event and it is always enjoyable to see how fast they can check in and get their registration/tech card. MSR: How are you using MSR in creative and interesting ways? Bill: I'm not sure how unique it is but we've worked hard at using packages to allow the entrants to select their run heats and their work heat/position. It was part of our old custom written system and MSR was the only motorsport registration service that would let us mimic that at all. MSR side note- His approach is actually very unique. For example, Bill uses validation rules to enforce a few worker positions that require credentials, like a safety steward where not just anybody can sign up for it. It’s very clever. He has more validation rules per square inch than any other organization using MotorsportReg! Bill: Why do I keep doing this? Sometimes I wonder that myself. I think that it is to support the club that has provided me with a place to play. If I can make it so that it is easier for entrants to preregister, maybe we can have a better idea of what work positions are filled before the event, and that makes it easier for our event registrar and chief of workers to do their jobs, especially with handling the walk up registrations. Also that means that the whole event runs smoother and if the event runs smoother perhaps we get more people to show up. MSR: Thanks for your time Bill! 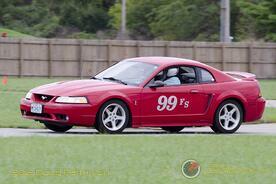 The Kansas City Region of the Sports Car Club of America (SCCA) covers the Kansas City metro and the surrounding area. The Region has over 500 members active in all aspects of motorsports, including amateur road racing, autocrossing, professional auto racing, vintage sports car racing and road rallies. You can find a list of all of their upcoming events here.